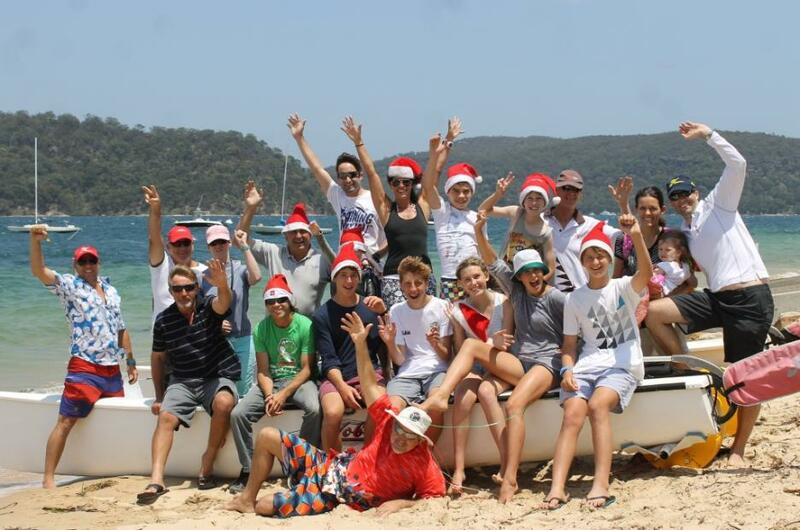 Palm Beach Sailing Club Sailors - their Santa Sail Christmas Cheer! Sailors with disAbilities is receiving $325 from Palm Beach Sailing Club Sailors and there will be 13 new crew members on the side of their Sydney to Hobart racing yacht! This year, as part of their annual Santa Sail and Barbecue, members were snapped by lovely saltwater lady Linda Renouf and became part of this great initiative. 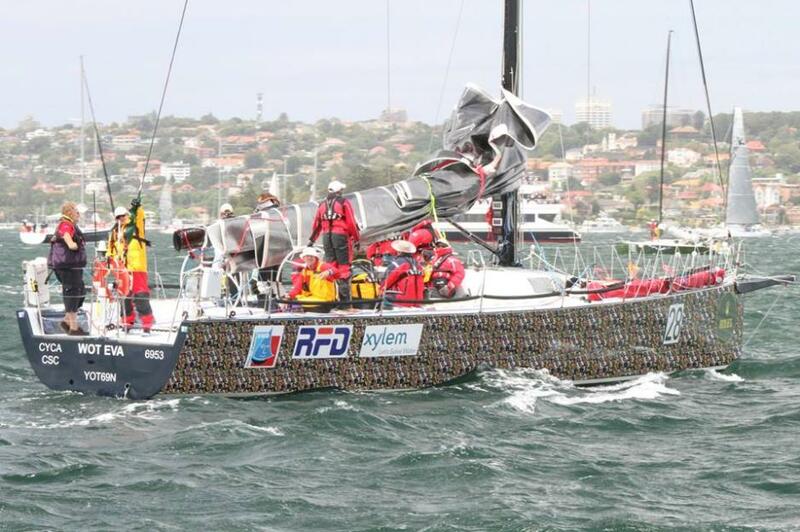 Since 2010, the Sailors With Disabilities team has been sailing the TP52, Wot Eva (the former Wot Yot, which was generously donated to SWD by wotif.com co-founder Graeme Wood), in the Sydney to Hobart Yacht Race. This year, the crew is back to sailing the Lyons 54 that won PHS in the 2007 Hobart after winning PHS in the 2006 Sydney Mooloolaba race and scoring second in the inaugural Sydney Mackay Yacht Race in 2006. David Pescud, owner, and crew famously also won PHS overall in the fatal 1998 Hobart with a former yacht. This year, SWD came up with a very clever plan, launching its ‘Face Boat’ campaign. For a tax deductible $25.00, donors can have their photo appear on the hull of the boat. Patron, Malcolm Turnbull, launched this novel campaign in September to help raise funds for SWD. There is space for more than 3,800 photos on the Lyons 54, which has contested every east coast regatta and offshore race since being launched in 2000. In July 2003, with this yacht, the disabled SWD crew shattered the monohull circumnavigation of Australia record, a record it still holds today. "Sailing with all the faces on the boat feels amazing. I'm really blown away by family, friends and community support. The Faceboat sea of faces will help me find the courage to face the mighty seas of Bass Strait." Channel 7’s Sunrise Program will be interviewing the Sydney to Hobart crew on Thursday, Boxing Day, so it may be worth tuning in before you head to the beach and keeping an eye on these valiant sailors as they head to Constitution Dock, Hobart. If you want to get ‘onboard’ the Faceboat, or find out more, simply go to www.faceboat.org.au and follow the prompts to upload your picture. There is a tax deductible donation of $25 and while it may be too late to get onto the side of the boat for this years’ race, you will be on the boat for future races, and more importantly, you will be helping roll out the SWD program to lots of people who would not otherwise have the opportunity to enjoy and learn to sail. What a wonderful gift to give - the freedom of salt air and the sound of sails - and flying... flying on the water! What the Faceboat shall look like when everyone is aboard - picture by and courtesy Sailors With disABILITIES.